Wash pork ribs and meat twice with fresh water. Place them in a pot or pressure cooker. Add water enough to soak meat in water. Add salt and then let the mixture boil for 30 minutes. Once it’s boiling, remove the scum floating on the surface. Add the onions, tomatoes and taro pieces into the mixture. 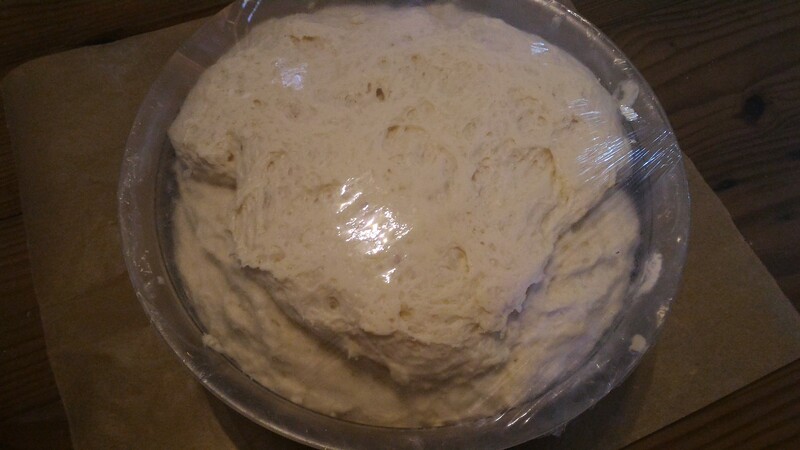 If you are using pressure cooker, pressurize mixture for 30 minutes. If you are using a regular pot, let the mixture boil for an hour. Add fish sauce to taste. Add okra then simmer for 2 minutes. Add kangkong and siling haba and then simmer for another 10 minutes. 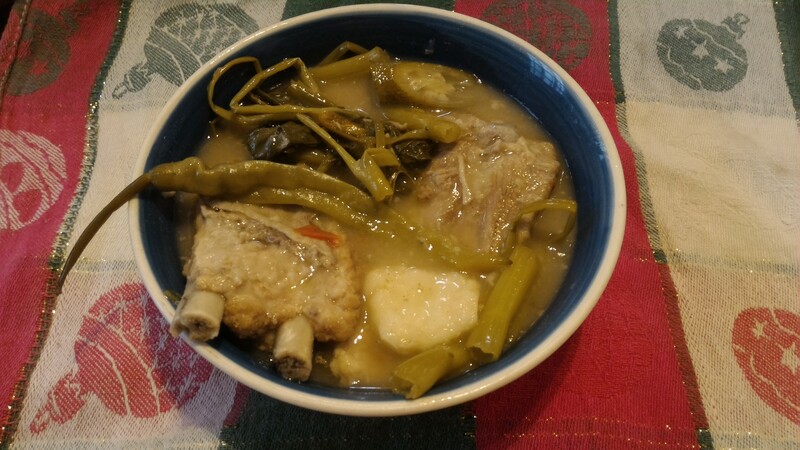 For a festive version of sinigang: you can add string beans (sitaw), eggplant (talong), winged beans (sigarilyas), and radish (labanos). You can add these vegetables especially if you’re serving it to mostly adults (I didn’t like them when I was still a kid). If you can, opt to use tamarind fruit instead of the mix (it’s natural!) or you can use mix as supplement if you’re tamarind fruit is not enough to make the soup sour. But let’s face it, it’s so hard to find tamarind fruit even here in the Philippines! Sinigang is a general term referring to the process of cooking this dish. 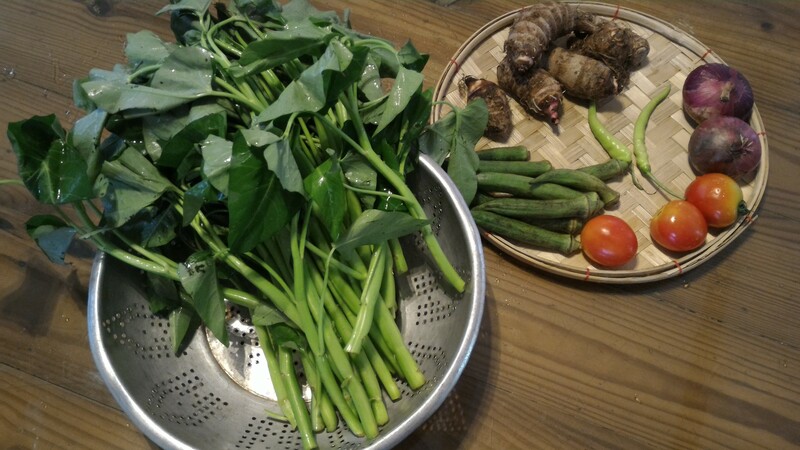 Beef, chicken and fish can be used in Sinigang dishes too, but almost often Sinigang is associated with Sinigang na Baboy using tamarind (sampalok) maybe because of its popularity. It’s my favorite out of all Sinigang varities too!